« Biking on Campus Presentation – This Tuesday! The Bike fest will feature free tune-ups by The Bike Brothers, Follett’s Mountain Sports and Crazy Jon’s Bicycle Repair. 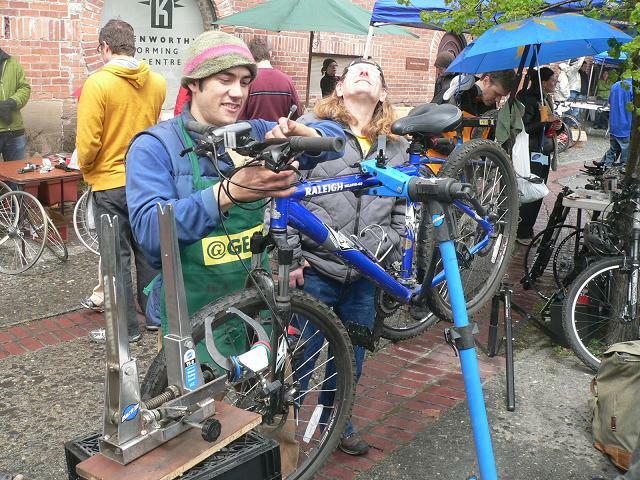 Bring a bike or browse for one at the bike swap. There will also be crafts for the kids, opportunities to give input on local cycling issues and extra temporary bike parking for the Farmers Market. Set up (7am-8am) – putting up tents, tables, signage, etc. Do-the-dots Bike Surveys – people love voting with sticky dots so we’ll be giving participants the chance to have their say about local bike issues with an interactive survey. All you have to do is hand out the dots and have a good time! 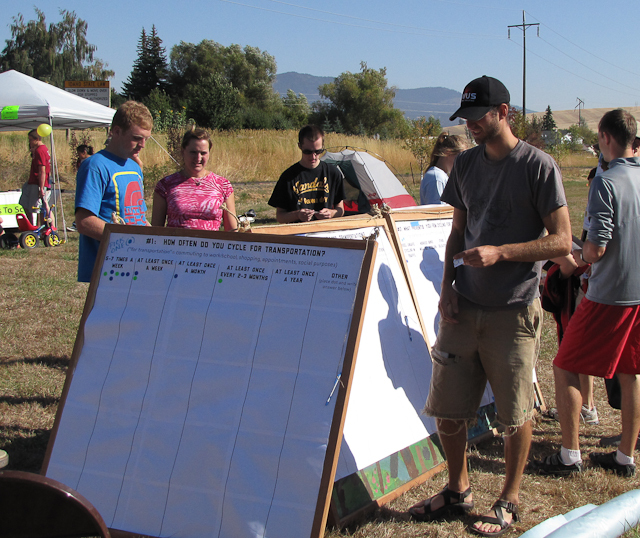 Local Bike Issues – if you are active in organizations that deals with local bike issues (such as the Multi-Modal Transportation Plan), we’d love to have you on hand to engage participants in discussions of those issues and to help answer questions. Bike Parking – Palouse Sprint Triathalon is kindly lending us some racks we can use as extra temporary bike parking during the Bike Fest and the first day of Farmers Market. 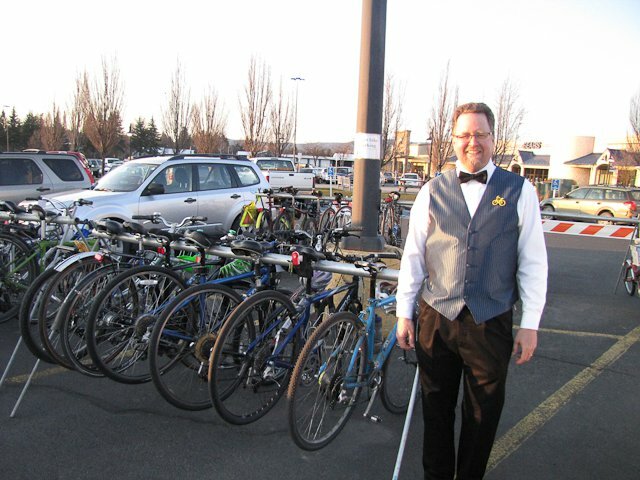 Volunteers are needed to orient users how to use the racks and to remind them to remove their bikes by 1:30pm. Please let Jen know by Sunday, April 29th if you can help, what you would like to do and from when to when. (Example: “8am-11pm, bike parking”). You can reach Jen Hiebert at info@pcei.org or 208-882-1444. P.S. Did I mention that you would get some special treats and my undying gratitude in return for your generous gift of volunteering? P.P.S. Please pass this on to your friends, families and organizations!